A variety of health and environmental factors are encouraging people, specifically athletes, to consider plant-based nutrition. More than ever before, mainstream medical professionals, nutritionists, and sports trainers are advocating for meat-free lifestyles for reasons such as reduced risk of heart disease, diabetes, antibiotic resistance, and certain cancers (especially prostate, cervical, kidney, and colon cancers). 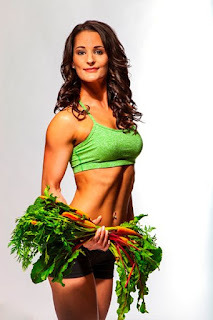 Athletes and bodybuilders benefit from vegetarianism because plant-based diets promote healthier arteries, stronger and more resilient bones, and weight control. Understandably, many athletes are concerned about not getting enough protein and vitamins to build and sustain muscle without meat. However, vegetarian diets packed with leafy green vegetables, fruits, nuts, seeds, grains, and legumes provide more than enough of these nutrients to grow strong and muscular. Some vegetarians struggle to get enough creatine and iron in their diets; however, athletes can easily supplement their diets accordingly. There are some amazing plant-based protein powders on the market today that are excellent sources of protein and really help fill nutritional gaps for meat-free bodybuilders. 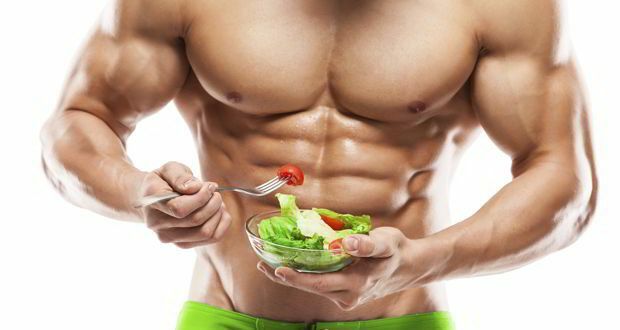 To build muscle and strength, athletes and bodybuilders must plan out their meals with the appropriate macronutrient ratios. Meal planning takes time, but once you learn how many whole foods are available to you as a vegetarian, you can easily meet your daily protein needs exclusively with plants. There are a shocking number of chemicals, pesticides, and hormones in our global food system; however, testing has shown that plants contain fewer industrial pollutants than meat products. Better yet, plant-based diets rich in phytonutrients have a protective effect and reduce damage that chemicals can cause in our bodies. One of the biggest legitimate risks of following a vegetarian diet is a vitamin B-12 deficiency. According to a study published in the American Journal of Clinical Nutrition, researchers found that this common deficiency has only recently been discovered in vegetarians. There are no good plant-based sources of vitamin B-12 because it is solely absorbed through the diet, being mostly found in meat, eggs, and dairy products. However, organically-grown plants that have been fertilized with animal manure do contain some of this essential vitamin. A vitamin B-12 deficiency puts vegetarians at risk of cardiovascular disease, Alzheimer’s disease, and dementia. But fortunately, this deficiency is easily remedied by supplementing the diet with fortified cereals and dairy products. Other nutritional concerns among vegetarians include getting enough vitamin D, calcium and zinc. Researchers at the University of British Columbia in Vancouver published their findings on this topic in the journal Nutrition and shared that these nutrients can be obtained by incorporating whole grain cereals and fortified soy milk into the diet. After addressing these issues, it’s easy to see why vegetarian sources of protein are just as effective (often, more effective) for building muscle and strength. By maintaining a diet that is rich in unrefined plant-based foods, you increase your immunity, cardiovascular health, athletic performance, and even lifespan. When you consume plant protein instead of animal protein, you are also reducing your risk of cancer, degenerative diseases, atherosclerosis, and fat gain through insulin sensitivity. Research studies have also shown that vegetarians maintain higher levels of antioxidants than their meat-eating counterparts, which ultimately reduces oxidative stress in the body. For athletes, all of these health benefits are incredibly important and provide vegetarians with a competitive edge and unparalleled advantage. All vegetables, fruits, grains, and other plant sources you can think of contain protein, so getting enough in your daily diet should not be a challenge once you change your mindset. 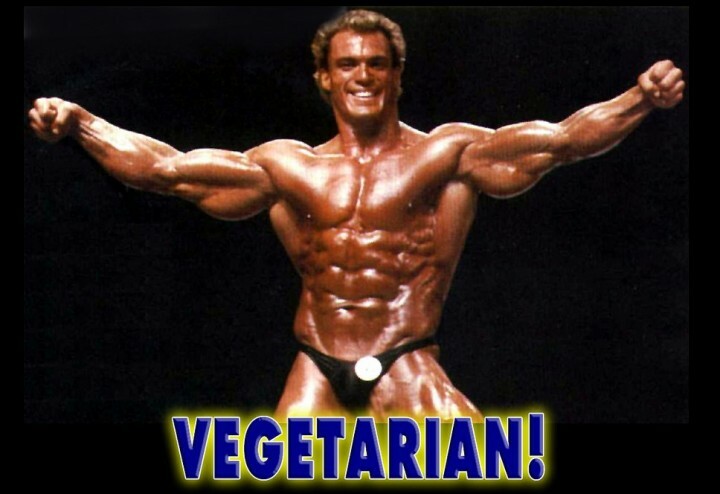 Vegetarian protein is often of higher quality than meat, and hundreds of successful vegetarian athletes and bodybuilders are proving the skeptics wrong with winning records and championship titles. Your body will thank you when you stop pumping it full of artificial and toxic ingredients and start filling it with the whole, natural foods it craves. About The Author: Chris Willitts is the founder of VegetarianBodybuilding.com and a contributing writer for Muscle & Fitness. If you’re interested in eating more plants and less meat, check out this resource: How to Go Vegetarian.